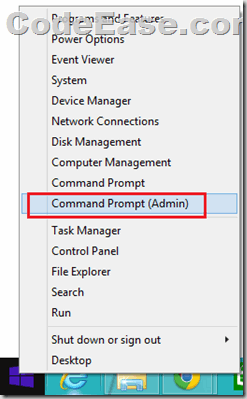 Cannot connect to WMI provider. You do not have permission or the server is unreachable. Note that you can only manager SQL Server 2005 and later servers with SQL Server Configuration Manager. Microsoft official site provides a related information mentions this might be caused by a previous instance of SQL Server uninstalled. The same WMI configuration file is shared by both of 32-bit SQL Server instance and 64-bit SQL Server instance. This file should be located in the folder This file is located in the %programfiles(x86)% . 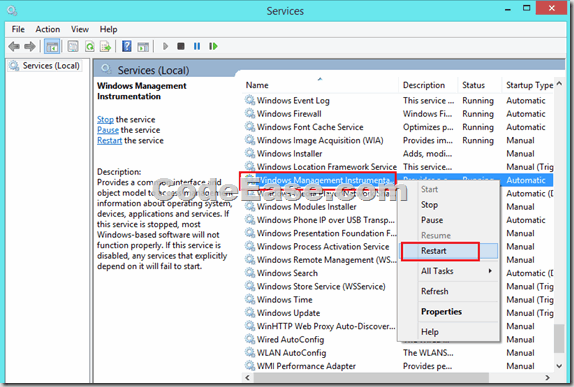 The WMI is Windows Management Instrumentation service. Anyway, let us try to resolve this issue. mofcomp "C:\Program Files (x86)\Microsoft SQL Server\110\Shared\sqlmgmproviderxpsp2up.mof"
You will see the restart process will restart related services, just do it and wait for the restarting process finished. 4: Now you try to run the SQL Server Configuration Manager, you will see it can run now. Next Next post: Domain Privacy Protection but Still Expose Registrant Information ?